Someone has taken it upon themselves to apparently write and sell a biography about Amos Yee. 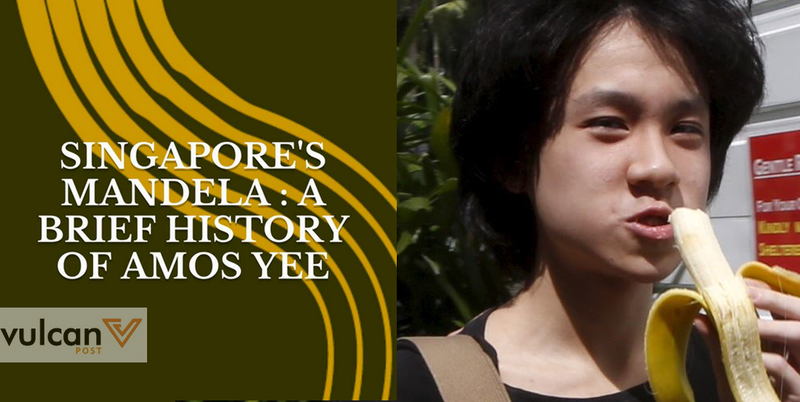 A 26-page Kindle book has surfaced on Amazon’s UK website, titled “Singapore’s Mandela: A Brief History of Amos Yee”. It was written and listed on Amazon by a man named Jason Venning, and is said to share 17-year-old Amos Yee’s life story and celebrate him as the nation’s, well, Mandela. The brief introduction available on the website likens Yee to men like Abraham Lincoln, Gandhi, Martin Luther King Jr., and Robert Kennedy. It also points out that Yee’s first name has biblical origins, which is, obviously, of great significance. That dexterity with words has come into full focus in his minutes-long tirade on YouTube videos from which he delivers his opinions to the masses using eloquently formed phrases, interspersed with profane words that might make any upstanding citizen of a tightly-run, well-ordered society such as that found in Singapore, cringe. Yee himself addressed this book, and asked Venning to send him a free copy of the e-book. For Singaporeans attempting to buy the book, it is unfortunately only available to UK customers, which makes us wonder if: a) this book is just an elaborate practical joke, or b) the British have some great love for Amos Yee that we don’t know about. It also has a single review by someone who just seems angry that the book even exists at all. So until someone gets the book or the British decide to share this gem with us, I’d suggest you head over to Amazon to read the introduction. Even Yee is curious to know how this person managed to write a biography about him without even meeting the guy.